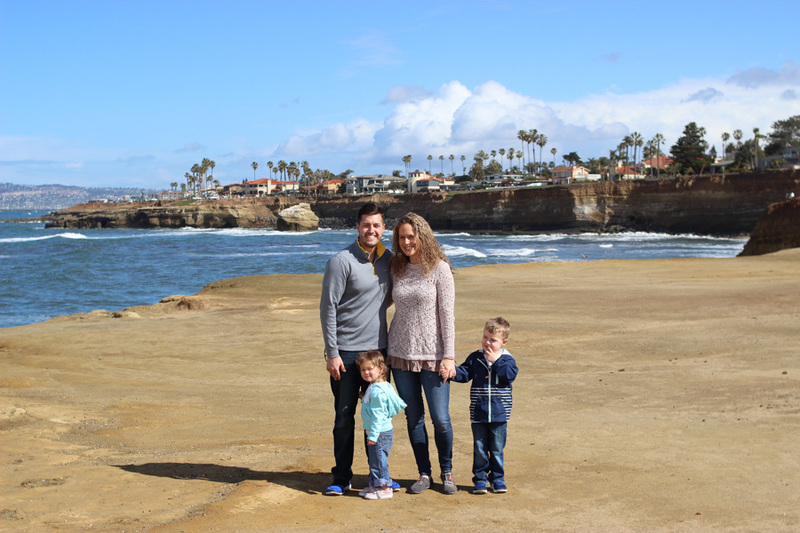 We’ve been lucky enough to visit San Diego as a family the last two years. 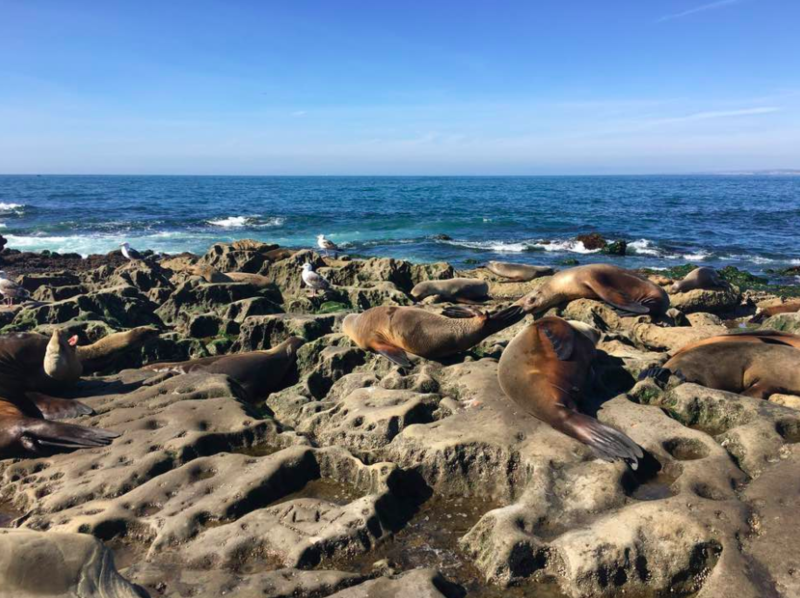 In the past years, we’ve explored many of the smaller coastal towns and cities near San Diego as well as many of the attractions. The great thing about San Diego is that it is so culturally diverse and there is a never ending amount of things to do, see and eat. Whether you’re wanting to check out the downtown, nearby mountains, gorgeous ocean views or explore one of the many amusement style parks, there’s no shortage of things to do within an hour of the city. 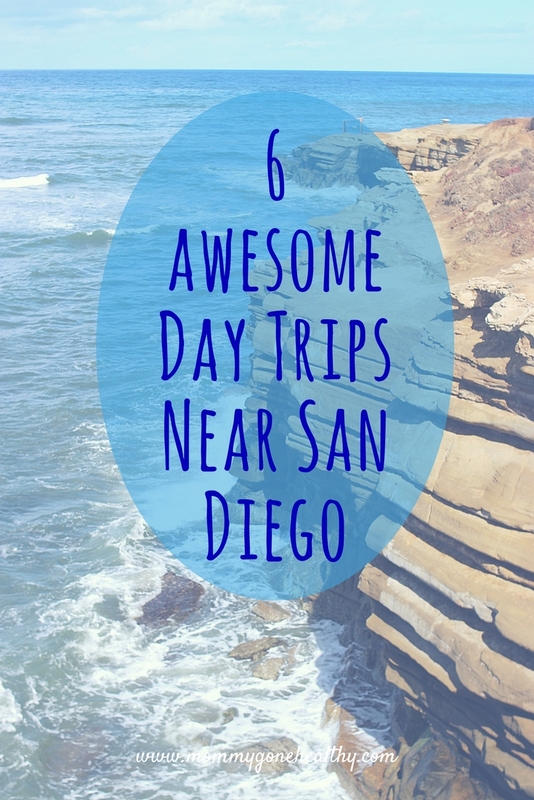 Below are a few places well worth the quick drive so pack up some road trip worthy snacks, cold drinks, and fill up the tank and go explore the outskirts of San Diego! Whether you’re traveling solo, with your spouse or the whole family, there is something for everyone! 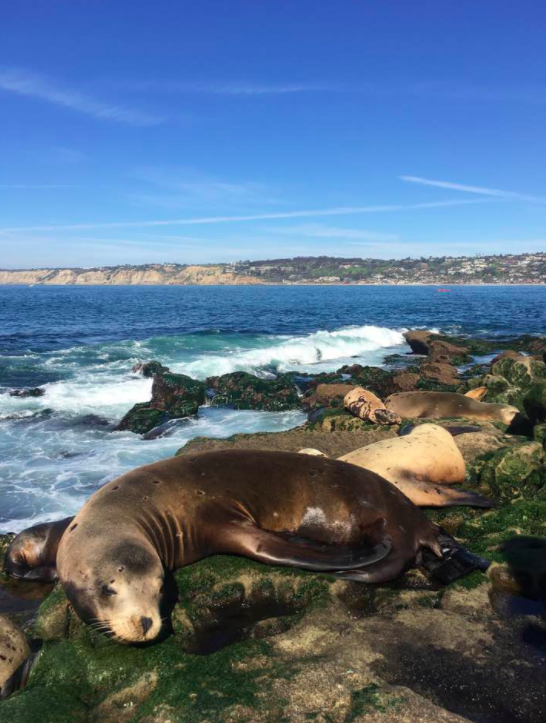 La Jolla has a little bit of everything! 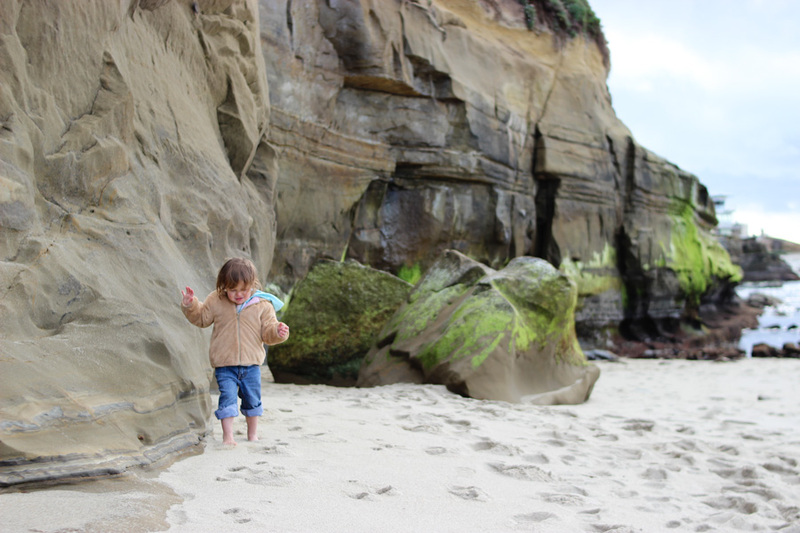 This small beach is tucked in amongst sandstone cliffs and is known for sea lions and seals that pepper the rocks. 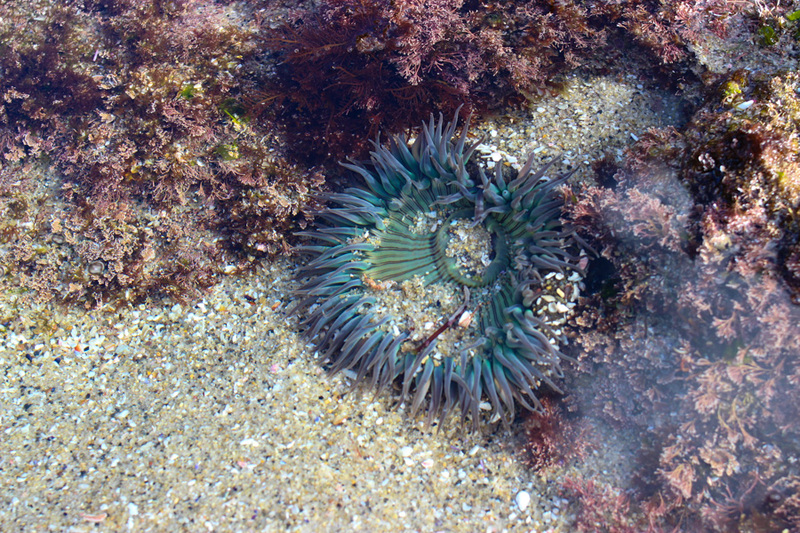 You can hear their calls from afar and they are so fun to watch as they meander on the rocks and swim in the water. Staircases lead down to the shore in which you can explore tiny creatures and animals in the tide pools and caves along the way. Definitely a spot in which you can spend a day exploring nature, beautiful seashore sites, and a happening downtown area with plenty to eat and drink (Bobboi Gelato is a must). Sunset Cliffs Natural Park is by far one of my favorite places to visit when in the San Diego area! 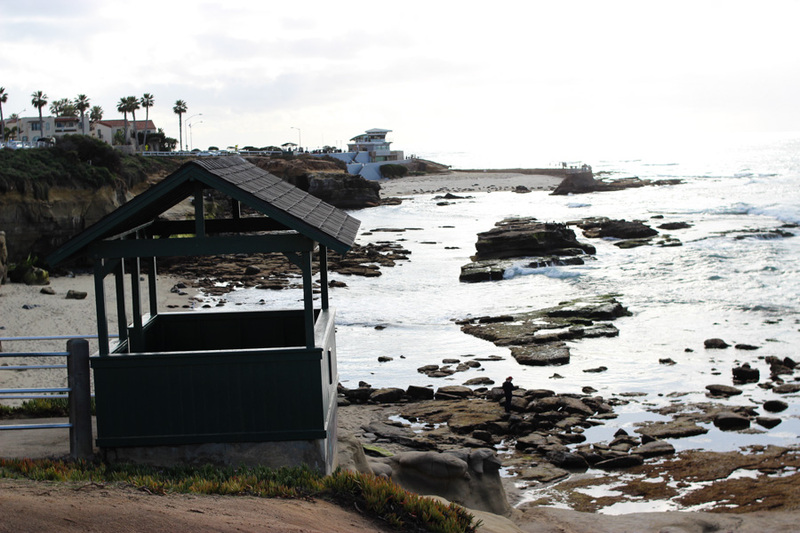 Sunset Cliffs is a very steep park that has stunning sandstone cliff views. 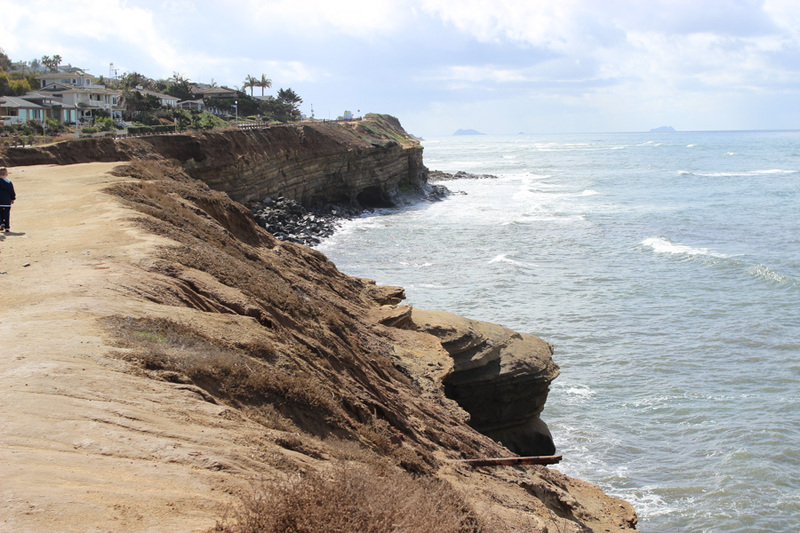 You can venture out onto the cliffs for breathtaking oceanside views and vantage points. If possible, take a drive through Point Loma Nazarene University as you can ascend and descend a incredibly steep drive for a gorgeous view. There a few footpaths to take to head down to the beach, but beware as they can be a bit treacherous. Pack a lunch and catch some sun on the cliffs while enjoying the views, or even better grab a blanket and enjoy a beautiful sunset! 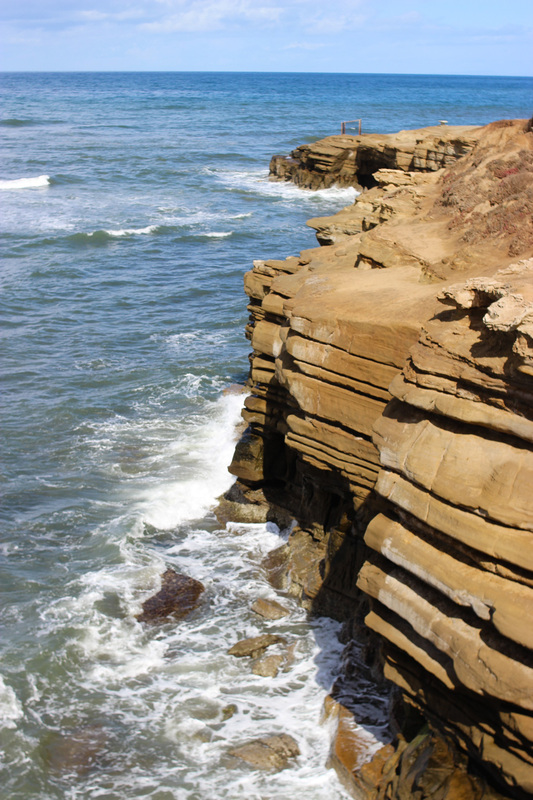 Cabrillo National Monument is on the southernmost tip of Point Loma and a great quick drive. The drive shows views of San Diego Harbor and Coronado with plenty of rolling hills and a incline to the highest point at Old Point Loma Lighthouse. 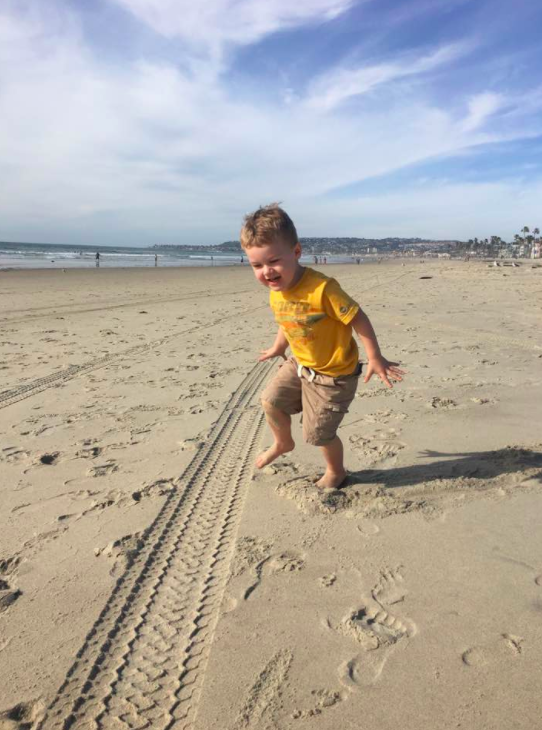 Mission Beach is perfect for active travelers and families with pre-teens! Take a ride on Belmont Park wooden rollercoaster and be sure to check out the arcade. Mission Beach is extremely large and wide and there are plenty of volleyball courts available for use. The boardwalk is lined with lots of great food and drink choices and is traversed with plenty of bike riders, long-boarders and runners. A perfect place to grab a drink, play some volleyball and to enjoy some people watching. 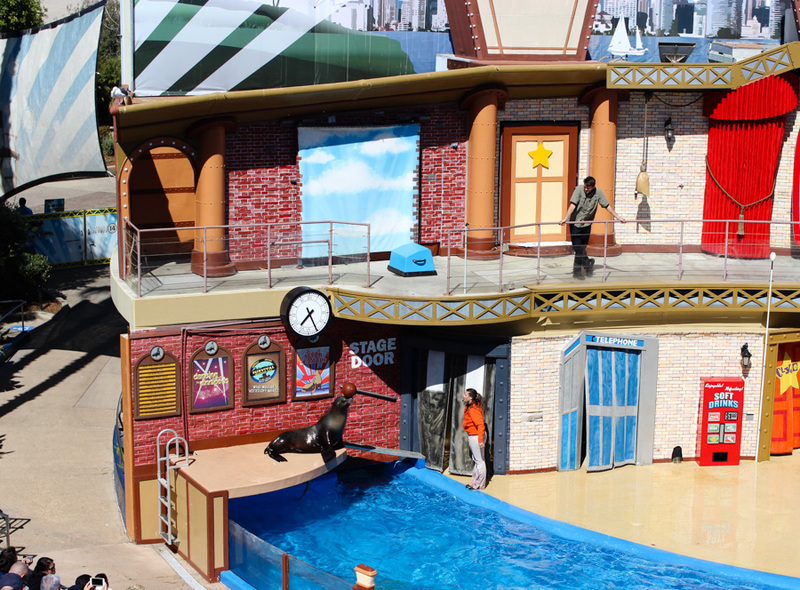 Located in Mission Beach, Sea World is perfect for exploring and learning more about the sea life that inhabit this area. With numerous shows, fun rides, interactive exhibits, waterpark, and more, there’s something for each and every person that you’re traveling with. 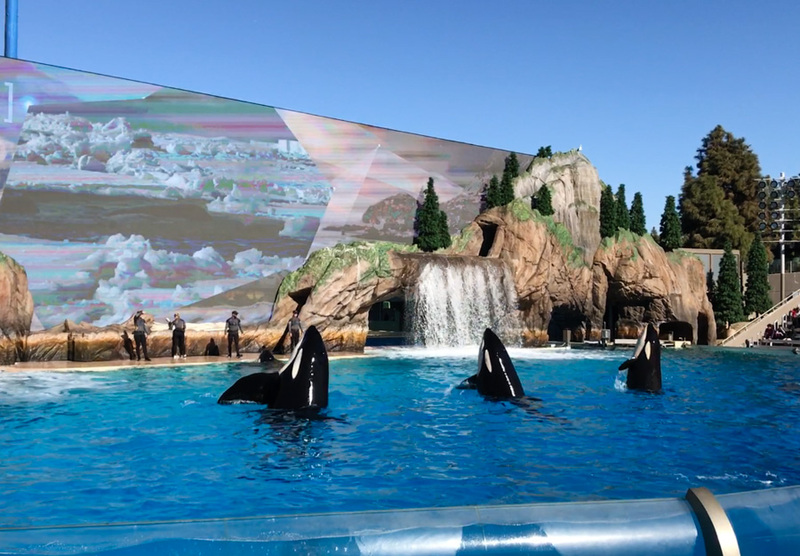 For more in depth information about Sea World and our experience, please check out this post! 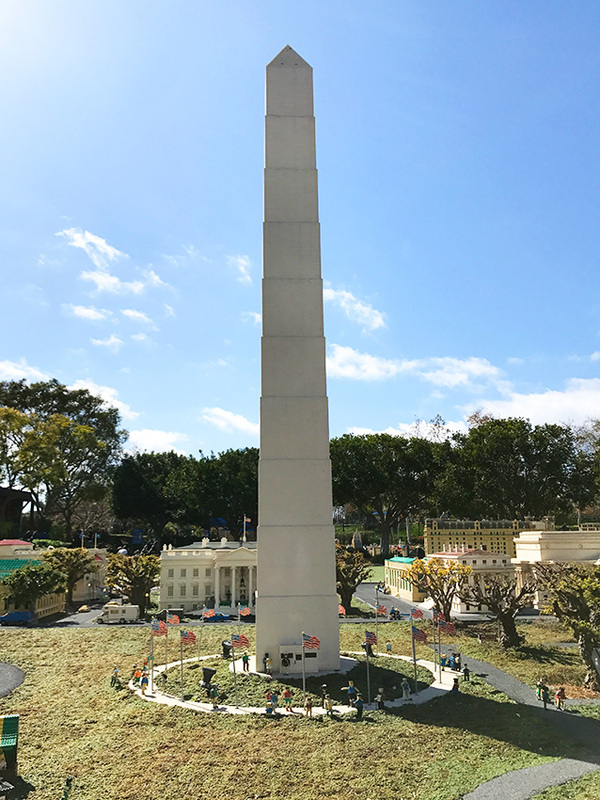 Legoland is located in Carlsbad, which is about a 30-45 minute drive from south San Diego. When traveling to Carlsbad, be sure to take North Coast Highway/Carlsbad Boulevard as it follows the coast and there are some gorgeous views. 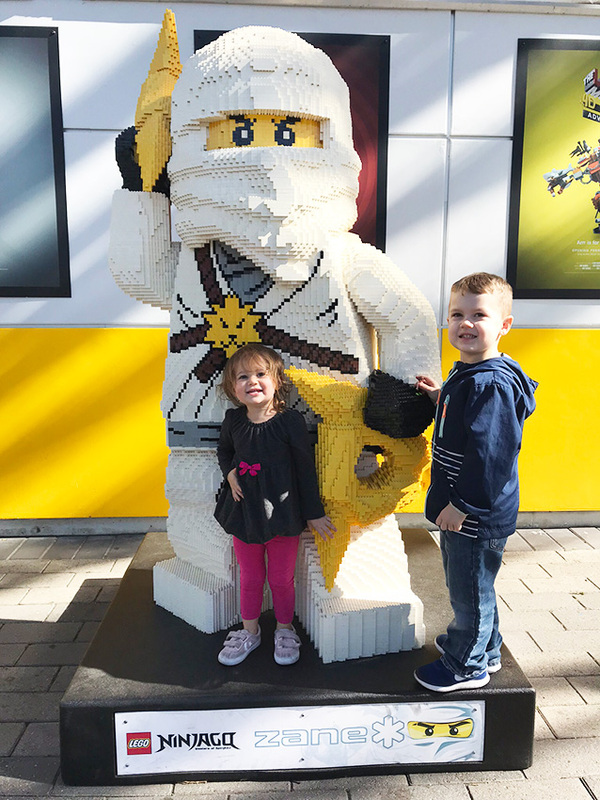 LEGOLAND has a plethora of rides for kids and thrill seekers of all types, fabulous waterparks, plenty of hands-on building fun and amazing exhibit areas (I personally loved MiniLand USA in which large cities and worldwide attractions are built with LEGOs). 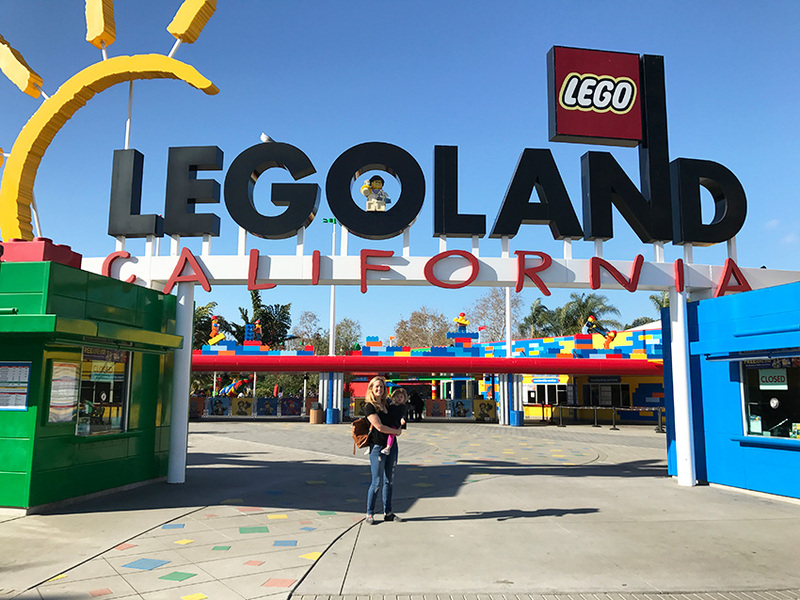 For more information about LEGOLAND and our experience, please check out this post! We drove a 2018 Mitsubishi Outlander GT for this trip and it was such a smooth and comfy ride. 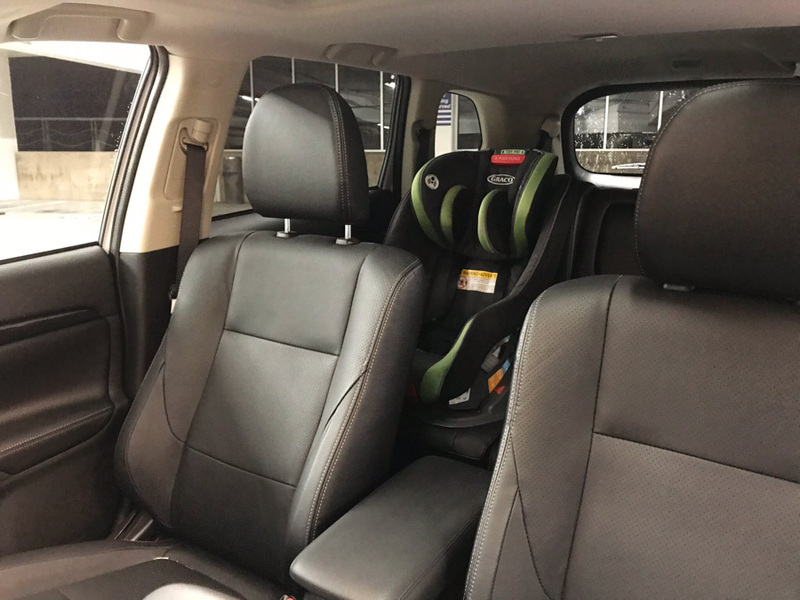 With two car seats and a stroller to travel with, driving a SUV and having ample space is an absolute must (it has a third row to fit up to 7 people that we folded down to make lots of room)! 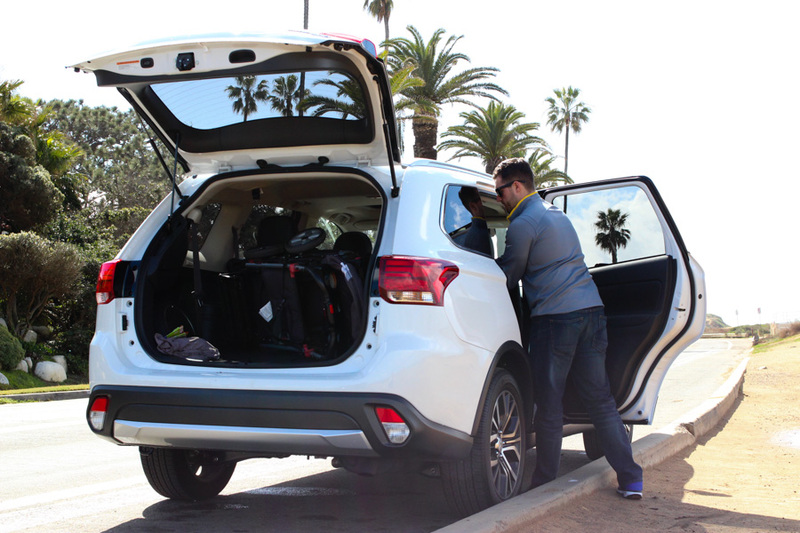 We easily fit both carseats, a double stroller and out massive luggage into the back with too much finagling. 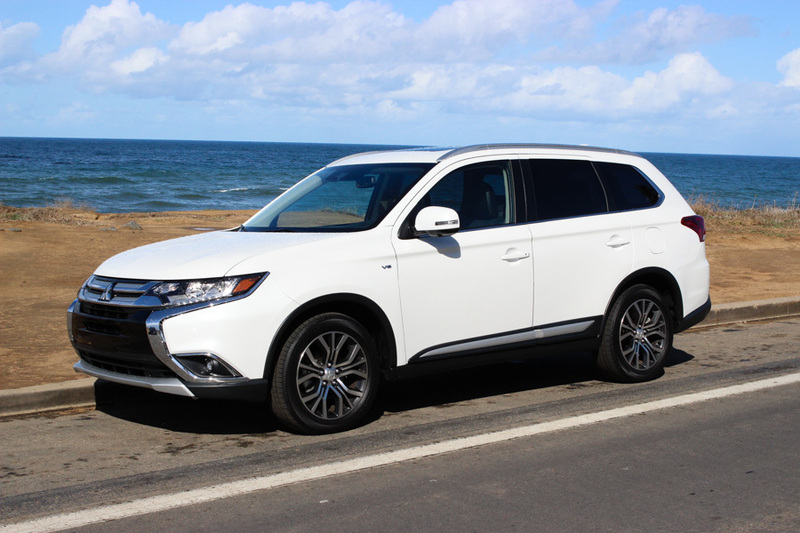 The powerful AWD 224hp V6 engine in the Outlander was a major perk when cruising down the freeway and especially on those massive hills and cliffs. 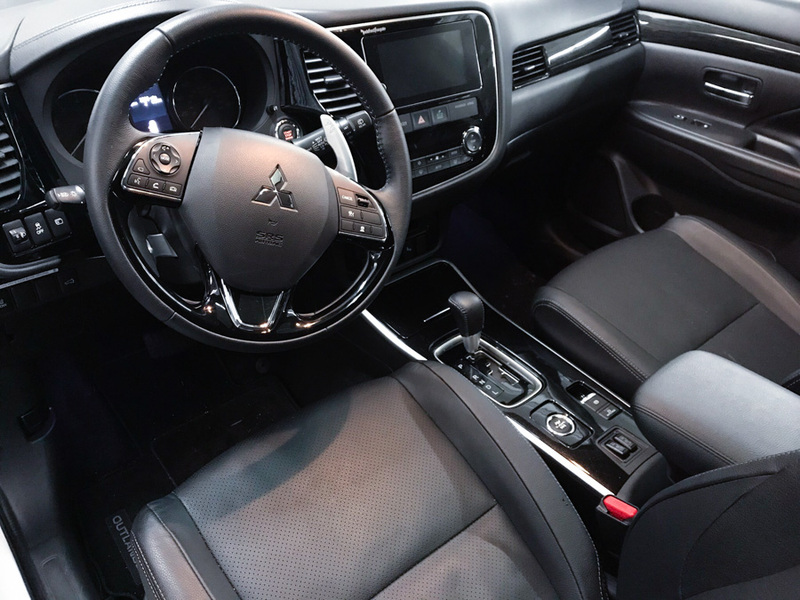 The touch display was a lifesaver for entering in our destinations to pull up navigation and maps, while the rearview camera made parallel parking into tight spaces a breeze. From city to beach, it has all the features you need. SO much room! As a parent, the more room the better! 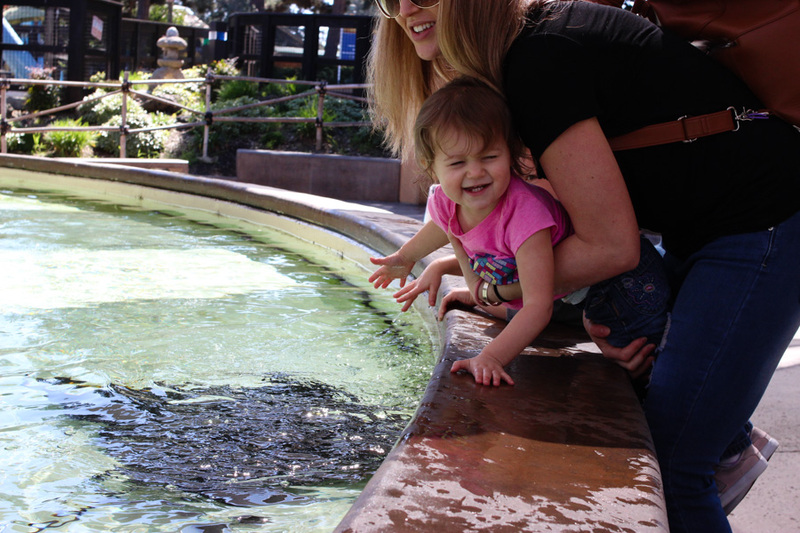 Where is your most family friendly travel destination? Looks like a good time was had by all. I adore visiting San Diego!!!! We live a short 5 hour drive away so we try to go fairly often. I would definitely add Carlsbad Beach to this list…. We absolutely love that beach especially when visiting LegoLand. you got some really breathtaking photos on this trip! I have never visited San Diego so that would be a visit in itself before I traveled an hour away. I want to see the seals, I think that’s pretty neat. The kids of course would love Legoland and Sea World. That Mitsubishi looks like a great car. I have a 3 row SUV and love it. 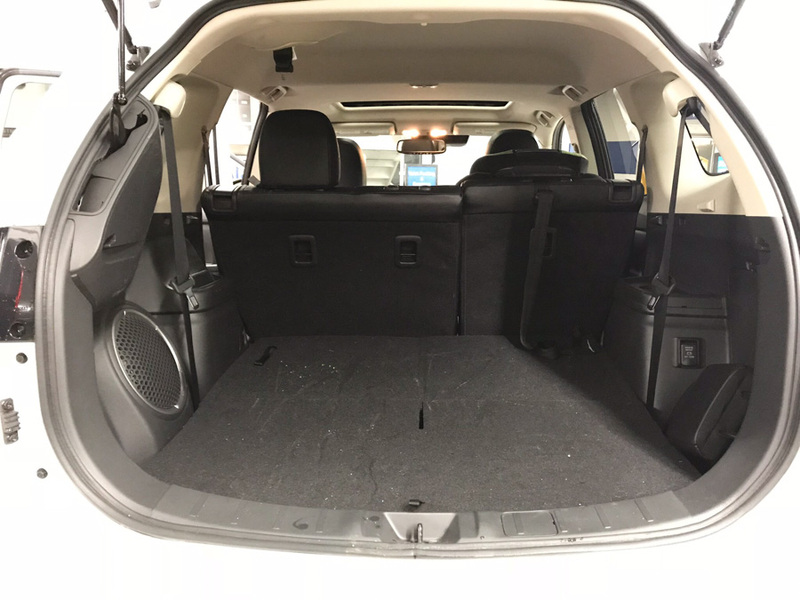 It provides room for everyone and would like my next vehicle to offer the same luxury. 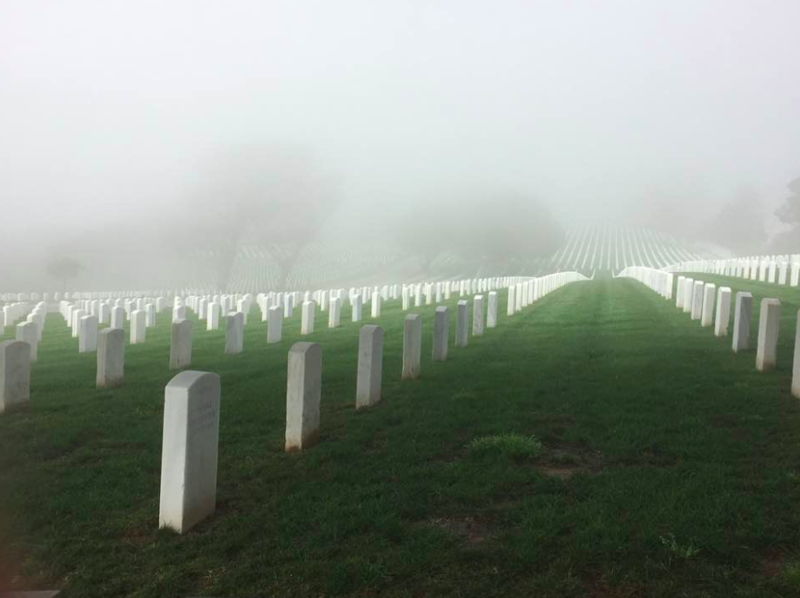 I hope to visit San Diego one day, it looks beautiful! I live so close to here, I need to go to some of these places! But yes Legoland is a must. My kids love that place!